I try to steer clear of putting too many burger joint reviews up on here. Firstly because other people do it better, but secondly because I just haven’t got time to stay on top of the newest openings and ‘hottest’ places to try. That said, I’ve eaten some pretty awesome burgers in London. Meat Liquor and Meat Mission are both excellent, with Meat Mission being my personal favourite thanks to the fact you can book a table (what a luxury!) and the perfection that are ‘monkey fingers’. Despite the slightly macabre name, a regular occurence across the Meat Mission menu, they’re basically zingy hot wings minus the bones – and ridiculously tasty. 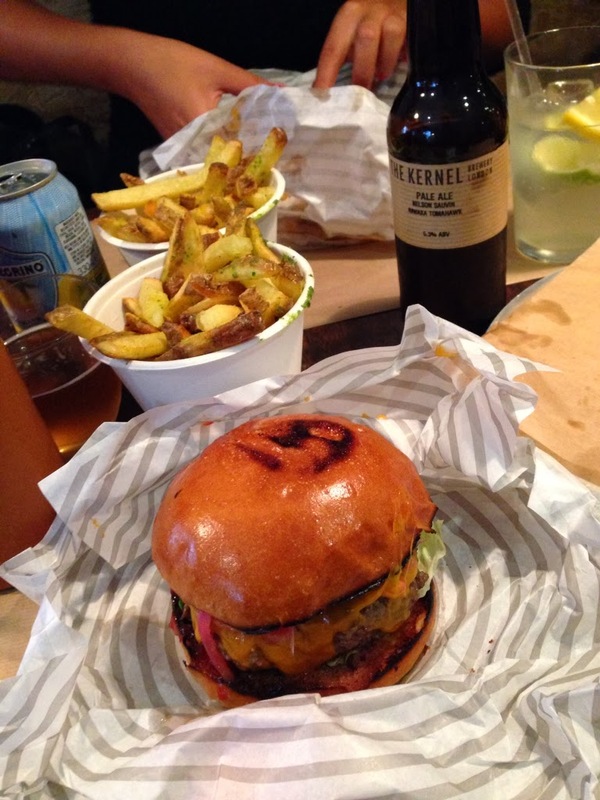 Honest Burger is also great, and has the advantage of not feeling like you’re eating your burger in a bombed-out squat. 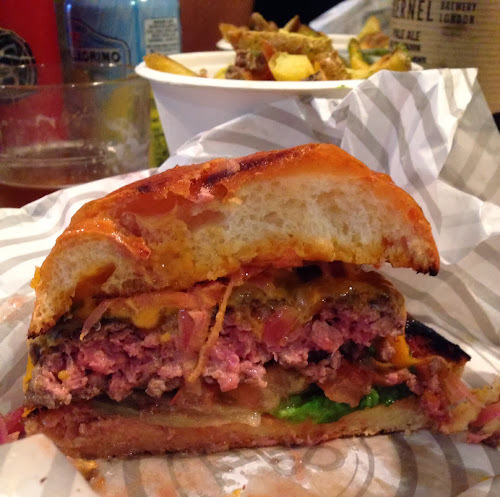 The burgers are big, tasty, pink and juicy – and the rosemary chips are like culinary crack. 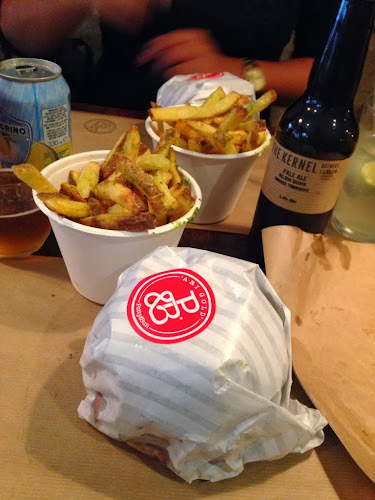 I’ve also heard good things about Dirty Burger and Lucky Chip (currently in residency at The Sebright Arms) but I’ve not had chance to get down there yet. So whilst I might not blog about it much, I do like a good burger and am pretty sure I've tried some of the best London has to offer. Which brings me to my point... Patty & Bun opened up on James Street (behind Bond Street tube station) just less than a year ago, but thanks to a series of much lauded pop-ups by owner Joe it has a reputation which stretches back even further than that, and has been at the top of my must try list for a while now. There’s plenty of competition, but after visiting yesterday on a rare mid-week day off I can say one thing for certain about Patty & Bun - what sets it apart is the beef. Quite simply, the burger was by far the best I’ve ever eaten. Perfectly cooked to medium rare, it is insanely full flavoured and beefy with an execution that really lets that perfect patty sing. Yes the rosemary chips are great and the brioche buns are spot-on, they even sell Kernel Pale Ale, but the reason you should visit Patty & Bun is to taste that 35 day dry aged Aberdeen Angus beef. Using a blend of cuts perfected over months, if not years, of trial and error, the patty is pure perfection and worth double the £7.50 asking price. This is what a burger should taste like.